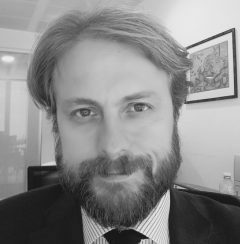 Giovanni Pagnacco is Senior Legal Counsel at Maire Tecnimont Group where he has been managing international arbitrations for several years. Before joining Maire Tecnimont, he worked as in-house counsel for Ernst & Young Consulting and Siemens. In recent years, Giovanni has managed several high key arbitration cases, administered and ad hoc, under different jurisdictions (among the others: Chile, Brazil, India, UK, France, Germany, Greece and the Emirates) for an overall value of more than 2,5 billion of USD. Giovanni obtained a Law Degree at Università Cattolica of Milan and an LL.M in Construction Law and International Arbitration at Robert Gordon University in Aberdeen, Scotland. He is qualified as FCIArb and in 2015 received the Top Legal Corporate Counsel Award in Italy for one of the largest ICC arbitration case ever. He has been a speaker at IBA, CEA and ICC international congresses.